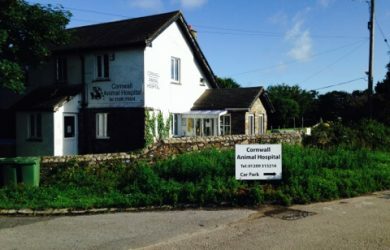 Our client is the head vet from The Animal Hospital where we completed an operating theatre in 2014. 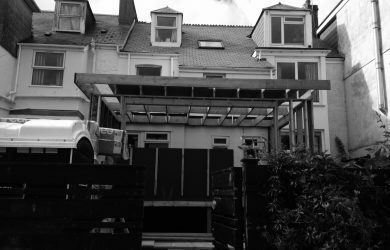 A1 was Instructed to undertake this project and the demolition of a shed cleared the way for the kitchen extension to be built. 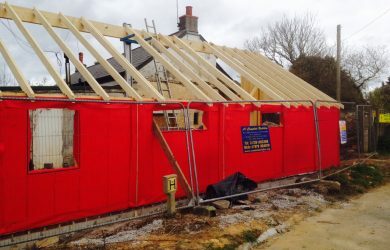 The frame is built on stilts supporting the front of the building and is timber frame from the ground up. 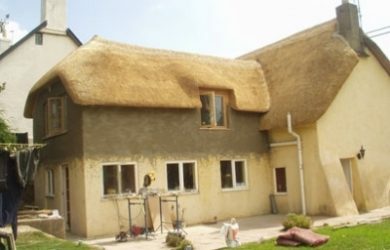 A high end specification using 140mm timber framing with earth wool insulation and an air tight Pro Clima Intello Plus check barrier/membrane, fitted to the inside with 40mm wood fibre laid with a batten service void and then finished with 12 mm Ply under 12.5 mm plaster board. 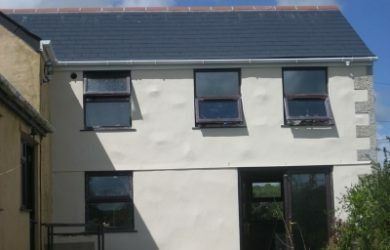 External is fitted with Bitroc boards over total area and stainless steel mesh lath before rendering over. Most materials used is Eco Friendly and local sourced timber. 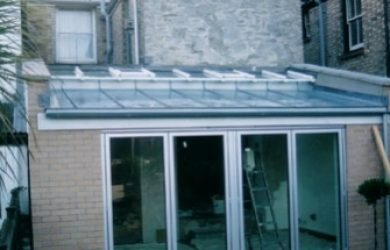 The general idea is to make this not only air tight but a breathable construction giving our clients a large warm family kitchen extension. The flooring used is Egger Waterproof Boarding with a ceramic tile finish. The Roof is a flat roof with a River Pebble finish laid over a E.D.P.M Membrane over 18 mm Deck. A Douglas Fir decking built alongside to finish. The kitchen supplied by Howdens and fitted by A1 Complete Builders. All electrics and plumbing in-house and over seen by A1. After extensive work completed by A1 Complete Builders the Clients decided to use our services once more to do various external works to include, excavation works by digger to the garden area and build block and brick retaining walls surrounding their property, extend the garage but also remove the flat roof and build a new vaulted pitch roof over then to reconfiguration the internal layout. 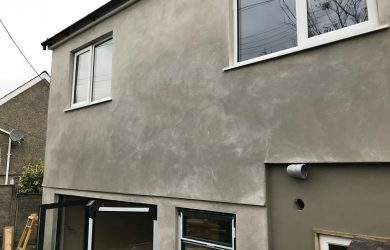 The back of the cottage also had sand and cement render on which we removed and applied lime putty render to these walls to include the garage and retaining walls. Once we remove approximately 120 tons of sub soil from the side of the garage we then prepared to block pave the whole area to enable more parking. D.J. Newman supplied solid oak doors and solid oak gates also fitted by our carpenter/joiner onsite. 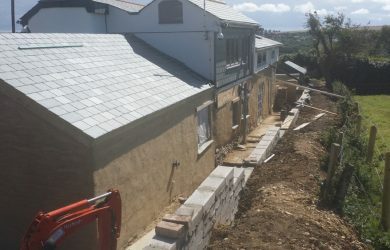 We were recommended and then awarded the contract to build this two storey timber frame extension in Truro to accommodate a new Kitchen/Dinner + Two new Bedrooms and two new bathrooms. 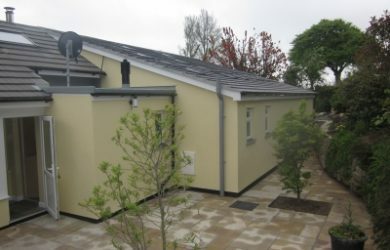 Plumbing was carried out by Ollies Plumbing and Heating and Electrics by York Electrics. All other work carried out by A1 Complete Builders. Demolition of small utility room to make way for a modern part basement kitchen extension. 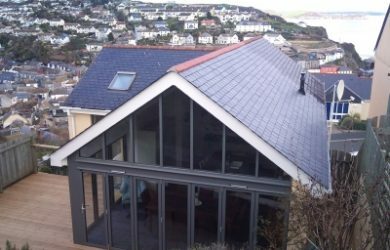 A stunning extension, designed by a local architect. 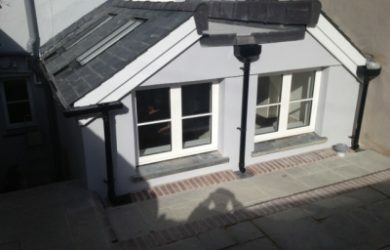 Difficult access made this extension expensive when compared to other similar size extensions but the clients was delighted with the overall finish. A reinforced concrete retaining wall formed the external skin, holding back the ground part way up. A modern build fitted out with Jeld Wenn Joinery windows etc and a mid range Howdens Kitchen. 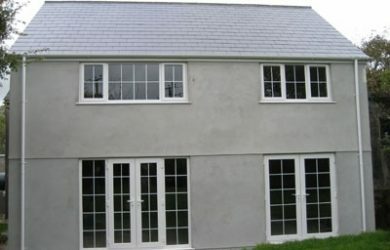 A stunning Stone built Extension accommodating a large kitchen and two bedrooms built in 2010. 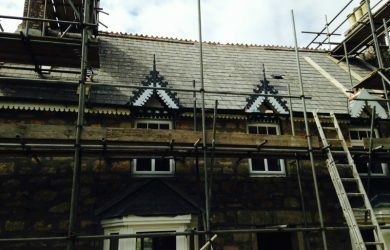 All materials sourced locally, Granite stones and Coins, natural slate roof complete with dormers and internally, all solid Oak floors and solid Oak doors fitted throughout. 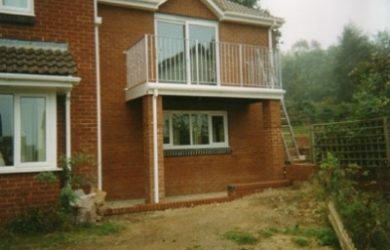 A traditionally built block extension accommodating a lounge and one bedroom built in 2009. 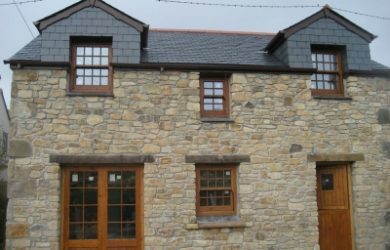 This two story Extension with locally sourced Granite Coins was finished to the highest of standards and matched in well with the existing property. 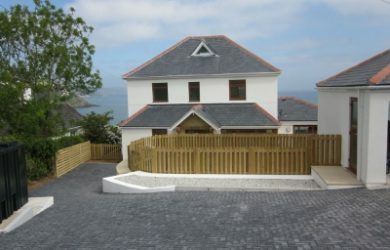 A traditional built block Extension accommodating a lounge and two bedrooms built in 2009. 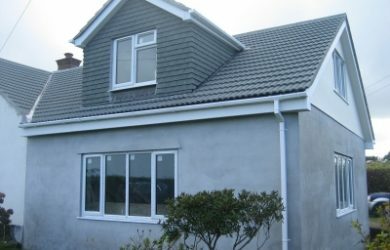 A cut roof finished with two Dormers and a Tiled roof, U.P.V.C double glazed windows and U.P.V.C doors. 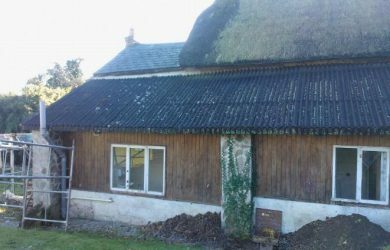 A demolition of a single block Extension with an Asbestos roof to a new kitchen/bedroom Extension, cutting in a new Thatched roof to match the existing one built in 2004.